This entry was posted in BLOG and tagged Contractor Award, Frisco Handyman, Frisco Handyman 2015 Award, Frisco TX, Handyman Award, Home Remodeling Award. 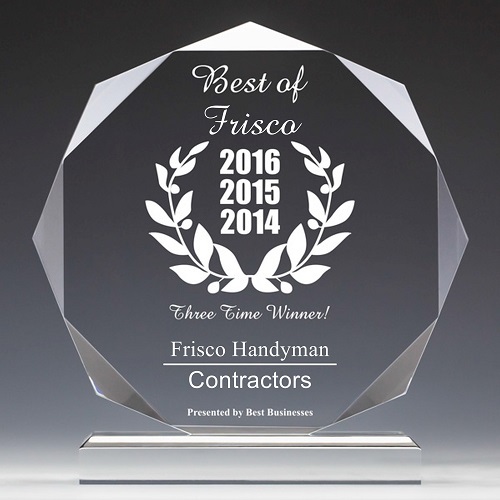 Best Handyman Frisco TX, Home Repair Award by Frisco Handyman. Bookmark the permalink.